Descemet’s membrane endothelial keratoplasty (DMEK) is a partial-thickness corneal graft operation in which only Descemet’s membrane and endothelium are replaced. This update summarizes the steps involved in DMEK, from graft preparation through postoperative care. Choose older tissue. With DMEK, said Dr. Rootman, older tissue is better: It’s thicker and more resistant to tears, and may separate and unfold more easily. Size it right. Measure the patient’s white-to-white diameter before choosing your donor punch, said Arthur W. Giebel, MD, a cornea surgeon from Walla Walla, Wash. A large donor graft might get stuck in a very small eye, and it might be hard to see the edges behind a very dense arcus. Also, it’s important to consider whether the paracentesis would get covered up if rebubbling is needed. Create a liftable edge. A variety of methods allow for creation of a liftable edge. Dr. Rootman uses a technique he learned from Gerrit R.J. Melles, MD, PhD: He gently dissects and separates the trabecular meshwork from the scleral spur by releasing its attachment with a dull blade down to Schwalbe’s line (for 360 degrees), then separates Schwalbe’s line the second time around beginning the separation of Descemet’s membrane from the posterior stroma. Jeffrey J. Ing, MD, a cornea surgeon in Stockton, Calif., introduced a technique to prevent radial tears. “Bluntly lifting up the edge of the graft with a probe all the way around reduces the chance of tearing the membrane,” said Dr. Ing. Submerge and strip. “With DMEK, understanding surface tension is key,” said Dr. Giebel. In 2007, he introduced the SCUBA (Submerged Cornea Using Backgrounds Away) technique, which suspends tissue with fluid above and below, making tissue easier to visualize and handle—and to rescue, if it tears.2 Harvesting may be done with Optisol GS in the larger shipping chambers if one takes care to avoid contamination. Alternatively, you can submerge the tissue on the donor block, said Dr. Giebel. “With a forceps and gentle rocking and stripping motion, you then strip the tissue but leave a small adhesion attached at the center,” said Dr. Rootman. Because handling DMEK tissue is a unique experience for most transitioning surgeons, Dr. Giebel recommends starting with pseudophakes who have a posterior chamber lens in the bag. “Anesthesia for DMEK ranges from topical, subconjunctival, and subTenon’s to peribulbar or retrobulbar block,” said Dr. Giebel. Dr. Ing finds the conscious patient’s ability to cooperate and rotate their eye advantageous, so he prefers topical or subconjunctival anesthesia. Create the incisions. Incision techniques vary according to the injection device used. Dr. Giebel creates a 2.7- to 3.0-mm temporal clear corneal incision, with superior, inferior, and nasal paracenteses. Dr. Ing marks the ports with gentian violet to aid visualization. Strip the host tissue. Use a Sinskey hook, Y-hook, or other stripper to remove the diseased Descemet’s membrane and endothelium. Although some surgeons advocate making the graft just larger or just smaller than the descemetorhexis, Dr. Rootman aims to closely fit the DMEK membrane within the area of descemetorhexis that he’s created. “Although it’s hard to prove,” he said, “logic would suggest that eliminating overlap may lead to better attachment.” To see any irregular tags that need removing, stain them with trypan blue. Surgeons may choose from a range of insertion devices, such as a special glass pipette (developed by Dr. Melles), intraocular lens cartridges, or a modified Jones tube (developed by Michael D. Straiko, MD). Dr. Rootman recommends staining the donor tissue for at least 60 seconds in trypan blue to make sure it’s as visible as possible before insertion. Stitch the wound. After inserting the donor tissue, immediately suture the wound to prevent expulsion of the graft, said Dr. Ing. Check and adjust the orientation. Deepen the chamber to check the orientation of the graft and change it, if needed, said Dr. Rootman. When the tissue is tightly scrolled, a variety of techniques can help ensure that it’s oriented with the endothelium surface correctly facing toward the iris. One method is known as the blue cannula, or Moutsouris sign. When placed anterior to the graft, the cannula can be moved under the roll of a correctly oriented graft, turning the tip “blue.” If the graft is upside down, the cannula cannot find the roll and remains silver, said Dr. Rootman. Another method involves quickly but gently tapping on the eye to create small fluid waves within the anterior chamber. “As the donor starts to unscroll, you’ll see fluttering at the edge,” said Dr. Rootman. This allows the surgeon to know if the tissue is lying down in the correct orientation. If the graft is upside down, giving a quick flush of BSS will either roll the donor graft 180 degrees to the correct orientation or shoot it into the angle where it may fold like a handkerchief, in half and in half again, said Dr. Rootman. When you tap on the outside to get the donor graft to return to the center, it’s often reoriented correctly. Unfold the graft. “Once inserted, tissue may present as a tube, double scroll, or triangle, or it may be opened,” said Dr. Ing. Various techniques can be used to unfold the tissue. For a tube. “You can inject either BSS or an air bubble into the tube to unroll it,” said Dr. Ing. If you flush it 90 degrees to the direction of the scroll, the graft will sometimes roll open in the correct orientation, added Dr. Rootman. For a triangle. Dr. Ing injects an air bubble under the graft and taps on the surface of the cornea to unfold a triangle—the Minuteman sign—with the membrane folded in. Bubble below. Once the tissue is oriented, you can hold it in place with a 0.05cc “microbubble” underneath, like a third hand, said Dr. Giebel.2 You can then use a cannula to tap and stroke the cornea. “This induces fluid currents in the anterior chamber that continue to unfold and center the graft,” said Dr. Ing. The bubble can then be progressively enlarged. Bubble on top. Dapena et al. report that you can also add a small bubble on top of the graft and move it by stroking the cornea.4 The bubble may be enlarged as needed to unroll and flatten the donor onto the iris, said Dr. Giebel. This technique is akin to rolling a “bowling ball” around on the surface of the graft to help unfold it, said Dr. Ing, adding that you must remove the microbubble before placing a full bubble underneath. Fill anterior chamber with air. Once the graft is in position, you can gently slide the cannula underneath it and inject an air bubble to obtain a complete air fill. Some have started using gas, said Dr. Rootman, which lasts longer than air and may lessen the need for rebubbling. Perform peripheral iridotomy. “If not previously done, you can perform a peripheral iridotomy (PI)—ideally during the descemetorhexis step—to prevent pupillary block,” said Dr. Giebel. If you don’t perform a PI, said Dr. Ing, remember that you must dilate the pupil enough to ensure that the bubble clears the edge of the pupil; otherwise, pupillary block can occur. Dr. Giebel keeps his patients supine for 30 to 90 minutes following surgery. Attachment. His goal is to have the central part of the graft attach first—then the bottom, temporal, nasal, and upper areas. “I have the patient lie with his or her chin up and forehead back to get the bubble in the lower part of the cornea—the hardest part to get to stick,” he said, adding that alternating between lying on the left and right sides also works for patients whose necks won’t allow this position. Check in. Dr. Giebel examines the patient one hour after the surgery. He identifies graft position and bubble and pupil size, and checks aqueous circulation, PI patency, and pressures. Before the patient goes home, Dr. Ing also examines the patient at the slit lamp to ensure that the membrane is perfectly positioned and that there’s sufficient fluid in the anterior chamber to prevent a pupillary block. Home care. “Except for eating and using the washroom, patients should lie on their backs as long as the air bubble is present—usually for 48 hours,” said Dr. Rootman. Patients should stay well hydrated and avoid rubbing the eye. Flying or going to higher altitudes is contraindicated. Dr. Ing puts patients on topical antibiotics for a week and steroids for a month—both initially taken four times daily; he tapers the steroids at one month, depending on the level of inflammation. “After the first couple of months, I move quickly to loteprednol or fluorometholone, as these are less likely to cause problems with intraocular pressure,” he said. If detachment occurs. With DMEK, detachment at the edge is the most common postoperative complication, said Dr. Rootman. “If it’s very localized and the center is clear, you can usually just observe, and it will resolve on its own. If there are central or large peripheral areas of detachment, you can easily inject an air bubble at the slit lamp.” But a DMEK donor graft is difficult to salvage if it scrolls up completely, he said. Finally. Reading articles and watching videos are helpful, but it is best to take a DMEK course, said Dr. Ing. 1 Kruse FE et al. Cornea. 2011;30(5):580-587. 2 Giebel AW, Price FW. Descemet’s membrane endothelial keratopathy (DMEK): the bare minimum. In: Price FW, Price MO. 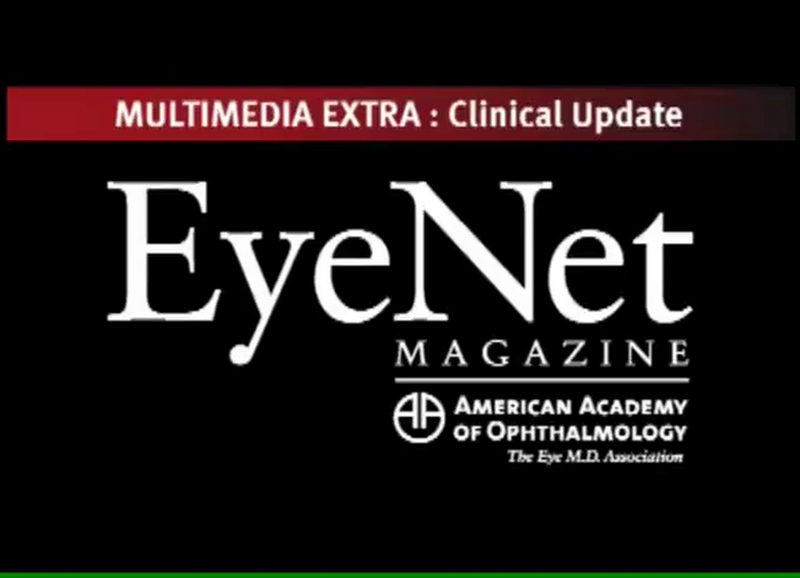 DSEK What You Need to Know About Endothelial Keratoplasty. Thorofare, N.J.: Slack; 2009. 3 Yoeruek E et al. Cornea. 2013;32(3):370-373. 4 Dapena I et al. Arch Ophthalmol. 2011;129(1):88-94. Arthur W. Giebel, MD, is a cornea surgeon in Walla Walla, Wash. Disclosure: None. Jeffrey J. Ing, MD, is a cornea surgeon in Stockton, Calif. Disclosure: None. David S. Rootman, MD, is medical director of the Yonge Eglinton Laser Eye & Cosmetic Centre and professor of ophthalmology at the University of Toronto in Canada. Disclosure: None. In the slideshow above, Arthur W. Giebel, MD, demonstrates how to perform DMEK surgery. In the video above, David S. Rootman, MD, provides an overview of DMEK donor preparation.